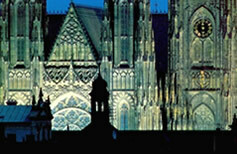 During the XIth and XIIth century many cathedrals and churches in Europe are equiped with doors made in bronze. Most of them were built in Byzantium, and were later imported in the West. A great number of them was preserved in Italy. 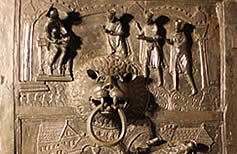 The novelty are the doors from Hildesheim, molten in a single piece, using the lost wax method, also featuring a figural decoration.